Hello Maharanis! 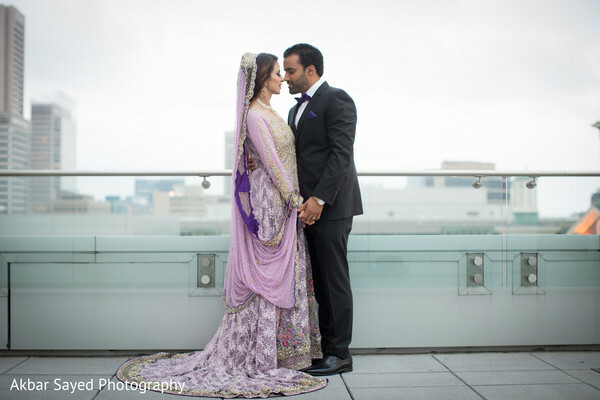 Today we're heading to the gorgeous Hilton Baltimore for a spectacular walima that'll leave you speechless! 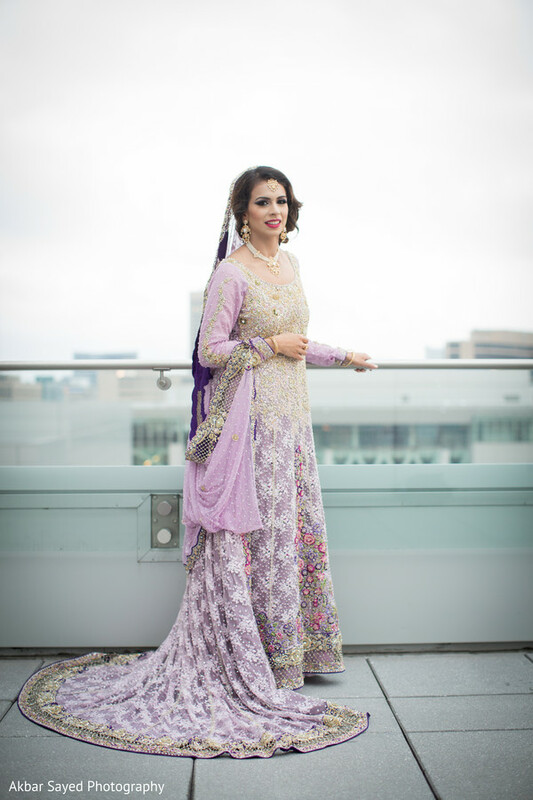 Before we get to the festivities, however, we're checking out stunning Pakistani bride Irsa's fabulous look! 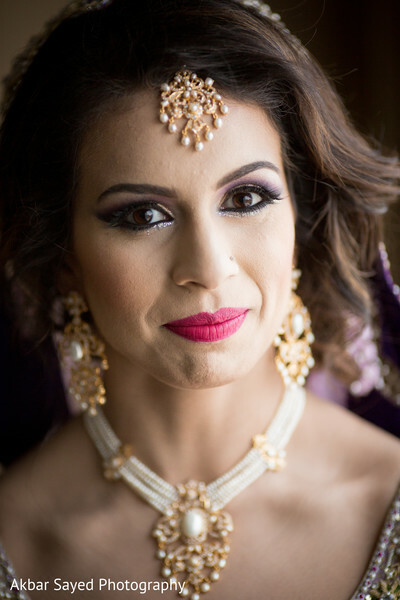 The Maharani's impeccable hair and makeup were done by Masooma Hassnain, who gave the blushing bride romantic pastel eyeshadow, bold eyeliner and bright lipstick for a super dazzling look! 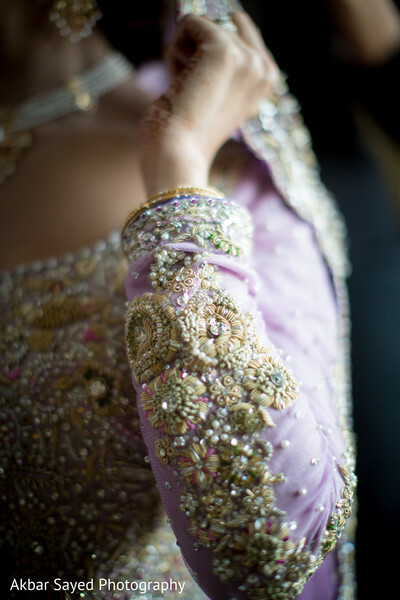 With an incredible soft lavender gown covered with exquisite beading and radiant gold jewelry, Maharani Irsa looked like royalty! 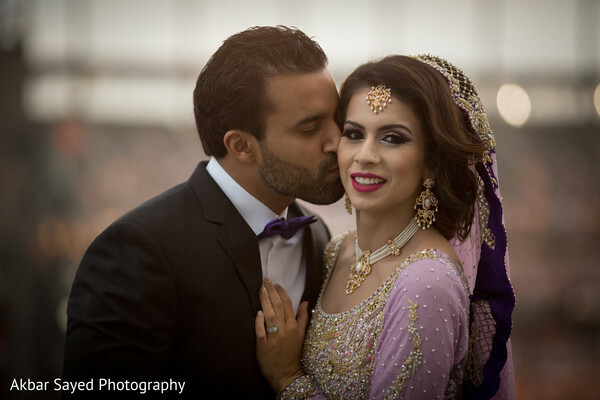 Check out Akbar Sayed Photography's photos of the adorable couple below, and visit the full gallery to see all the details! 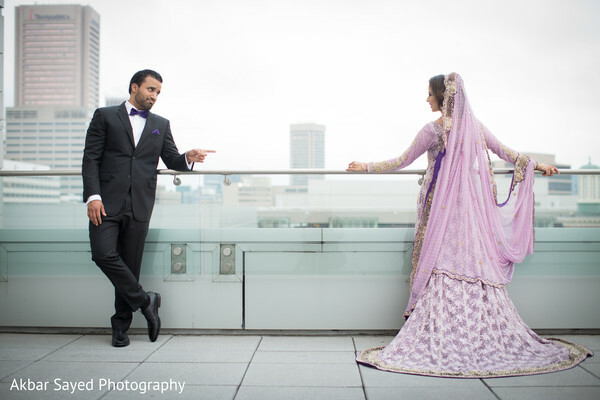 Check out the dazzling walima decor by Sarah Khan Event Styling when we return!